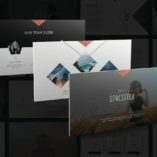 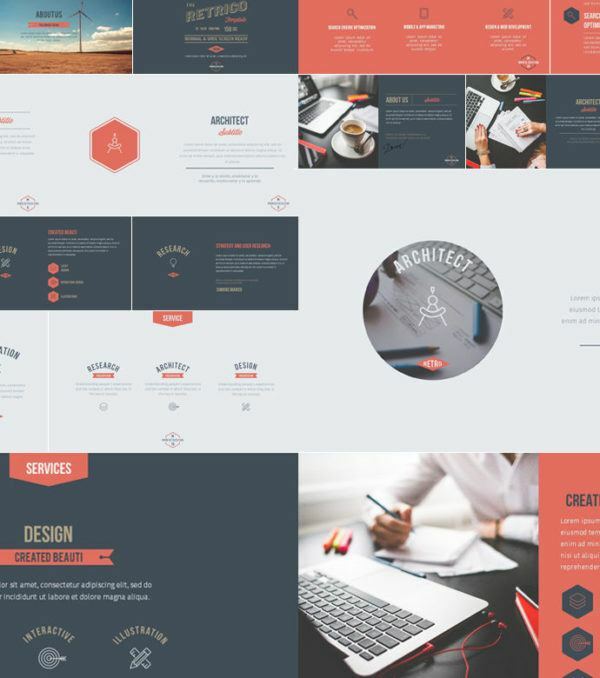 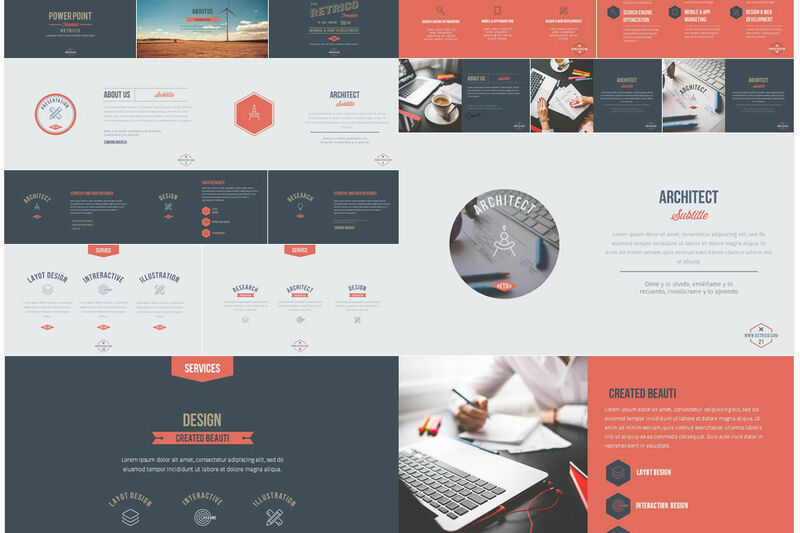 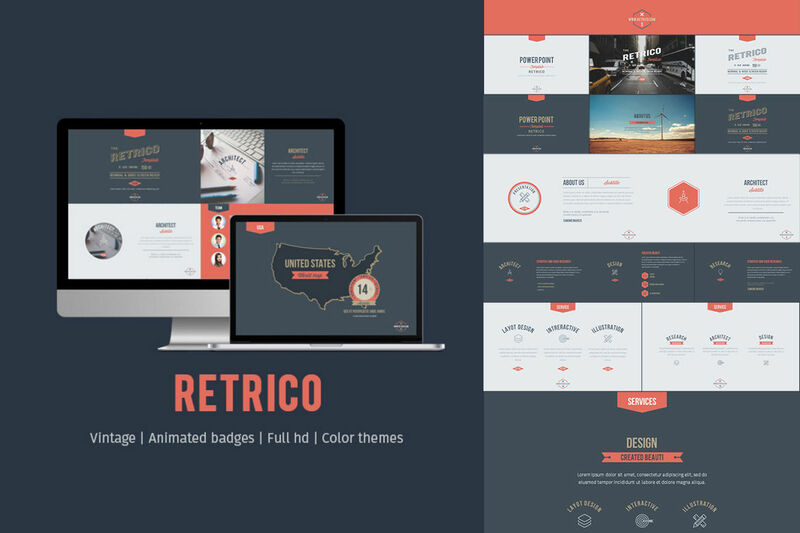 The Retrico PowerPoint Template features a unique retro design that is simple and uses large images and a simple color palette to make your content stand out. 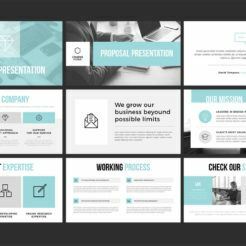 This template is perfect if you want to focus your audience’s attention on your message. 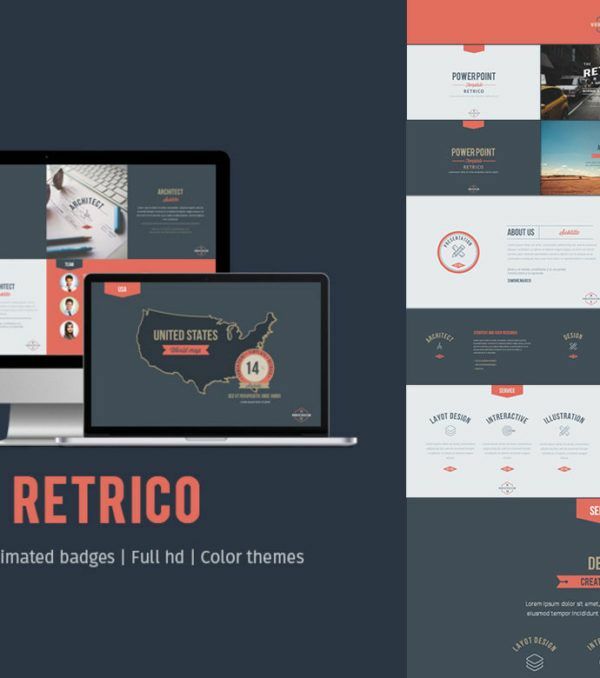 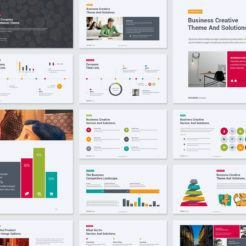 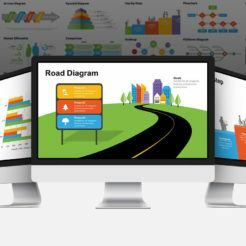 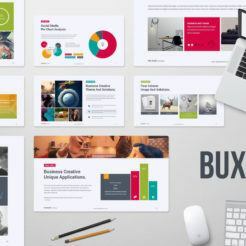 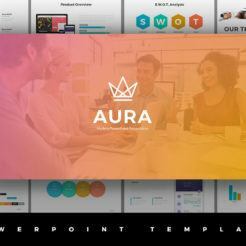 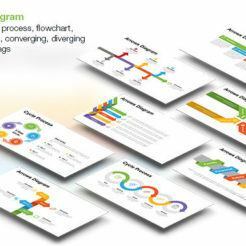 The Retrico PowerPoint Template is very easy to customize and features over 100 slides so that you have a variety of options to choose from for any situation! 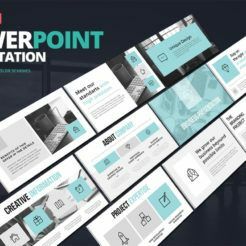 Take your presentations to the next level with the Retrico PowerPoint Template from Digital Dreams today!